There are also at least 11.5 million hunters over the age of 15 in this country spending $27.1 billion a year on equipment and travel. Of these hunters, most (7.9 million) are deer hunters. And, of the $27.1 billionspent by hunters, $2.9 billion were for firearms while $6.3 billion were spent on hunting-related travel. The rest was spent on equipment; licenses, tags and permits; clothing, and other items. The NationalShooting Sports Foundation’s (NSSF) new report, Hunting in America: An Economic Force for Conservation, reveals insights into the economic benefits generated by hunting. 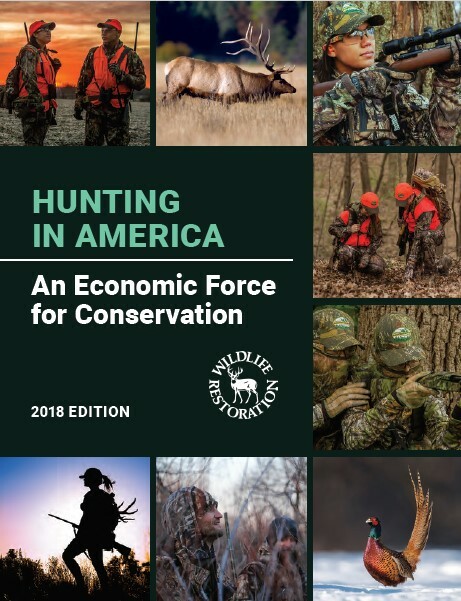 Access this report to learn more about how hunting in America is an economic force for conservation. Click here to download the NEW report!